And it could be the start of a new era for the ceremony, as Netflix broke HBO’s 17-year reign of being the most nominated network. This year’s Emmy nominations have also set a new record in recognising diverse talent. Sandra Oh is the first Asian woman to be nominated in the lead actress category for her role as Eve Polastri in BBC America’s murder-mystery series, Killing Eve. The award-winning actress told The New York Times: “I’m happy to get that ball rolling, because what I hope happens is that next year and the next year and the next year; we will have presence. “And the presence will grow not only to Asian-Americans, you know, from yellow to brown, but to all our other sisters and brothers. Very few performers have managed to achieve EGOT status – which means having a Grammy, Tony and Oscar and Emmy trophy in your cabinet. Those who have include Audrey Hepburn, Mel Brooks, John Gielgud and Whoopi Goldberg. Safe to say, quite an exclusive club. Legend has been nominated for his lead role in Jesus Christ Superstar Live, and for producing the show alongside Andrew Lloyd Webber and Tim Rice, who are also one Emmy away each from their own EGOTs. Jesus Christ Superstar Live earned 13 nods, the most of any live TV musical in history. Fourteen years ago, Queer Eye For The Straight Guy won an Emmy and this year, Netflix’s heart-warming reboot Queer Eye earned an impressive four nods. However, the makeover show’s grooming specialist, Jonathan Van Ness is also nominated for his Funny or Die web series, Gay of Thrones, and he celebrated in the most Jonathan way possible. We’d normally need at least six coffees to get this level of excited. Shows like 13 Reasons Why, The Crown, Stranger Things, The Good Place and countless others have helped Netflix become a seriously big cheese in the broadcast world in recent years. As a result, the streaming service has broken HBO’s 17-year reign of being the most nominated network. Netflix has 112 nominations while HBO received 108 – including nods for shows like Game of Thrones and Westworld. “It feels like it happened quickly, but it was also a long time coming,” said Wired. Amid the celebrations and reactions from some of our favourite stars, it wouldn’t be an awards show without a few snubs here and there. 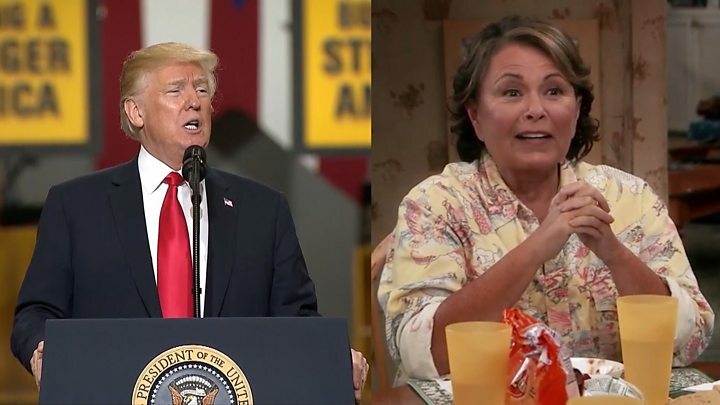 It was no surprise to see controversial comedy Roseanne was largely ignored after Roseanne Barr’s controversial tweet. However, Laurie Metcalf managed to nab a nomination for outstanding supporting actress in a comedy. For the first time since the series began, ABC’s hit show and Emmy favourite Modern Family wasn’t nominated and none of the show’s stars were up for an award either. Despite their characters being the focus of the most recent season of Game of Thrones, both Emilia Clarke and Kit Harington missed out on being nominated this year. However, other co-stars such like Peter Dinklage, Nikolaj Coster-Waldau and Lena Heady all received nods. Anthony Bourdain: Parts Unknown has received multiple Emmy nominations just over a month after his death in June. CNN’s nominated food show saw Bourdain travelling around the world in search of delicious cuisine and exploring cultures of lesser-known countries. Others who have received posthumous Emmy nominations include Audrey Hepburn and most recently, Carrie Fisher, who died in December 2017. This year’s ceremony takes place on 17 September, hosted by Michael Che and Colin Jost.